So the peripatetic antics of The Legal Genealogist lead to northern Virginia tonight… and the annual dinner of NIGRAA — the National Institute on Genealogical Research Alumni Association. That, as a one-time sister-in-law of mine used to say, is a True Fact. I had the great good fortune of attending NIGR in 2010, and there’s no truth-in-advertising issue here: intensive, it is; introductory, it is not. An entire week totally immersed in federal records and both the more common and lesser known resources of the National Archives, and, every year, the Institute ends with the Alumni Association dinner. Which caused me, this year, to ask some questions. 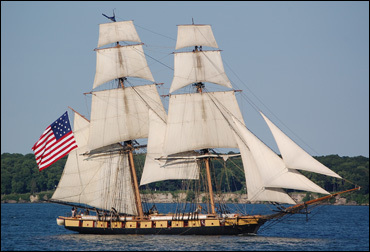 Such as… what’s the difference between a brig, a schooner and a cutter? Because I have the honor of speaking tonight at that NIGRAA dinner… and the topic involves tales of some of our seagoing ancestors. Now the people who manned them…? 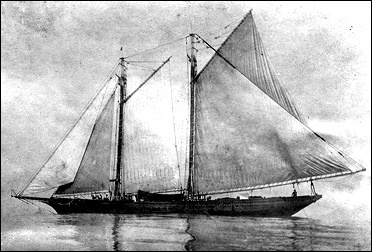 Brig: Lance Woodworth, “Brig Niagra full sail,” CC BY 2.0. 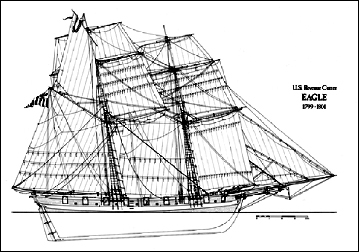 Cutter: U.S. Coast Guard, The Eagle.